It is time for the much-anticipated updating of my literary magazine rankings. It is my hope that you will find the rankings to be useful. I began this effort several years ago. I had decided to take a tiered approach to submitting short stories to magazines, but it was difficult to decide how to tier the magazines. By tiering, I mean that I wanted to submit to magazines that were roughly equal in reputation and quality, so that if one accepted a piece (Tin House, say) it wouldn’t rip my heart out to withdraw it from other magazines in the same tier (One Story, say). If on the other hand I had received an acceptance from an unknown magazine, it would kill me to have to withdraw from Ploughshares if I had made the mistake of submitting to both at the same time. So I came up with this simple system. I would rank magazines based solely on the number of Pushcart Prizes and Special Mentions the magazines had won over a ten year period. 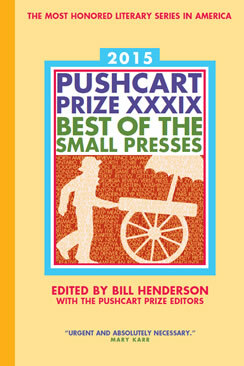 I chose the Pushcart Prize instead of the Best American series or the O. Henry Prize because it seems somewhat more transparent–magazine editors nominate in all genres, and the prizes and special mentions go to all kinds of small magazines (although online journals are still mostly ignored, which is a drawback.). I opted for a ten-year period because reputations don’t develop over night, and it seemed to me that magazines do need to earn their places on the list with consistency over the years. Some have argued that ten years is too long. They may be right. (I’ve experimented with using a five-year period, but for now I’m sticking with ten.) It may also be of interest to readers that the ranking is based on a very simple formula that awards a point for each Special Mention received and then multiple points for each Pushcart Prize received. Thus a magazine with one point on the list has received one Special Mention in the last ten years, but a magazine with a higher total will have received either multiple Special Mentions or a combination of Prizes and Special Mentions. Also, note that there are some magazines on the list that have closed. Magazines do come and go and sometimes they come back again. Magazines that are closed are marked with the © symbol. If I learn of new closures or resurrections, I’ll correct the lists. Some people argue that the whole ranking thing is silly. If that’s how you feel, you are invited to ignore the whole thing. I’ve heard from lots of people who refer to the rankings regularly, however, so I am certain that lots of people find it useful. As long as that is the case, I’ll keep doing them. Something I haven’t mentioned before, but probably should have: I am in no way affiliated with the Pushcart Press that organizes the prizes and publishes the anthology each year. In fact, I don’t think they know I exist. I do these rankings without their input or permission. Also, I don’t get paid to do this. I do, however, accept donations via the handy PayPal buttons that you will see along with the lists. No pressure or guilt associated with the donations, but some people have been generous and I do appreciate it. The lists (in Fiction, Poetry, and Nonfiction) will be posted today and tomorrow. I welcome feedback–broken links or whatever–in the comment section or by email to info@cliffordgarstang.com. This is incredible. Herculean work, and thank you, Clifford Garstang. I have been pounding through poetry submissions without much rhyme or reason (forgive the pun) and was on the verge of starting to try to rate or catalog myself, but with no direction or idea of how to start. I saw your list in the newsletter from The Review Review today and I can’t want to dig in! Thank you! I will definitely share this list on my poetry site and spread the word. Do you mean the greyhound in Karen Russell’s story “Madame Bovary’s Greyhound” ? The dog’s name is Djali. Although when it runs away it is renamed Hubert. This is SUPER awesome and helpful! Thanks for doing all this work! I have one thought regarding your methodology. You mention that some people have proposed referencing only 5 years of data, and that the problem with that is having too few data points. I completely agree. But, maybe tweak the algorithm a tiny bit, by decrementing the weight of points as they recede into history? For example, if a journal had a prize this year and one last year, that probably is something we’d want to recognize, more than if a journal had two prizes 10 years ago. You could just make a simple linear decrease in the weight of a point from say, 1 for this year, to .5 for 10 years ago (at the same time think about whether a prize 10yrs ago should be worth as much as/more than an honorable mention today), or, you could get fancy and make a curvy weighing scheme (because that’s what I would do with an afternoon rather than actually writing….. which…. Yeahhh, I should probably get back to writing.) Thanks again for the fantastically useful resource! Thanks for your suggestion. I’ll consider that when I prepare the new rankings this fall. By the way, your comment was on the ranking for 2015. Be sure to check out the 2016 rankings. 2017 rankings will be available in November.